Michael A.Ginor is co-founder, co-owner, and President of Hudson Valley Foie Gras, the most comprehensive and multi awarded Foie Gras producer in the world. Production is now a unified, controlled and consistent operation based on nature, nurture, and technology. It is a closed, independent production system where the duck and the egg both come first! Michael was born in Seattle, Washington, in 1963. He is a graduate of Brandeis University and studied for an MBA at New York University. He was four years on Wall Street as a Senior Vice-President with David Lerner Associates. Michael‘s eclectic Mediterranean restaurant Lola is hailed as one of Long Island’s best dining experiences. It received top ratings from the New York Times and many other repected media. Michael plays the part of a consultant to the gourmet food industry. He works with luxory hotel chains such as Hyatt International; The Regent Group; The Four Seasons Group and Shangri-La Sheraton International in between writing books, articles and hosting events. He is also a talented writer, Ginor is a food and travel contributor to such publications as Food Arts Magazine, James Beard Magazine, Art Culinaire, Coffee & Cuisine, Singapore’s Cuisine Scene and Great Britain’s Great Hospitality. 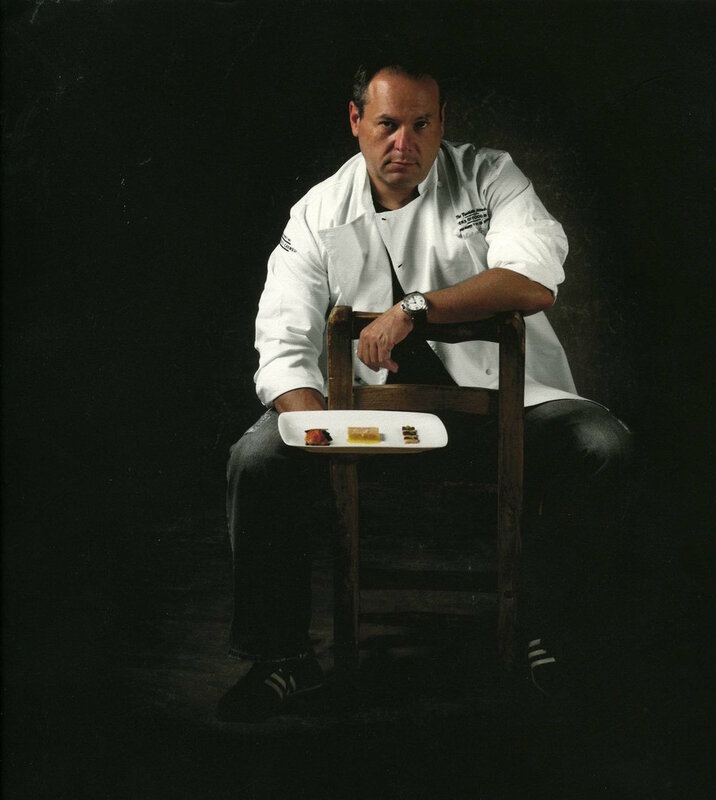 His internationally acclaimed cookbook Foie Gras…A Passion is a comprehensive reference book that includes 84 recipes. Lenny Messina is the Chef at LOLA Restaurant as well as the Culinary Liaison for Hudson Valley Foie Gras. Working alongside Chef and owner, Michael Ginor, the duo operate LOLA, a multi – Award winning eclectic pan-Mediterranean restaurant. The New York Times has awarded LOLA with their most prestigious “excellent” rating. Newsday has named LOLA as one of Long Island’s top ten fine dining restaurants. In 2012 Lenny and his culinary team received the American Culinary Federation’s national championship title for competitive cooking. In 2015 LOLA received the “Cutting Edge” award from the same organization. For the past four years LOLA has received the Opentable ‘Diners Choice’ award. Lenny has been a featured chef at Autism Speaks, Hawaii Food and Wine, Pebble Beach Food and Wine, and The James Beard Foundation. Lenny Graduated from the State University of New York at Delhi where he received his bachelors in Business Administration with a focus in Culinary Arts and Hospitality Management.